Drill perfect holes in foamboard using one of three interchangeable quick-change drill tips included. Choose 3/4", 1/2" and 0.28" diameters. 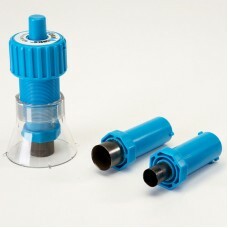 The Hole Drill WD-8011 works with 3/16" foamboard. Choose from replacement tips sold separately WD-18 (0.18"), WD-28 (0.28"), WD-50 (0.50") or WD-75 (0.75").